Vice President Dr. Mahamudu Bawumia, has explained the real cause of the free fall of the cedi, maintaining that the recent depreciation of the country's currency on the international market was not as a result of weak economic fundamentals. He insisted that the current economic fundamentals of the country are strong contrary to the opposition National Democratic Congress’ logic that the recent cedi fall must be due to weak economic fundamentals. “If the fundamentals are weak, the exchange rate will expose you, but if the exchange rate moves you cannot jump into that conclusion that the fundamentals are weak, that defies logic,” he said. Justifying his claim of strong economic fundamentals with data evidence, Dr. Bawumia said in 2014, the exchange rate depreciated by 31.3 per cent, the fiscal deficit was 10.1 of GDP and public debt rose to 70.2 percent of GDP, inflation rose to 17 per cent and GDP growth had declined from 7.3 per cent to 4 per cent. The exchange rate in 2014, he said, exposed the weak economic fundamentals as compared to 2018. 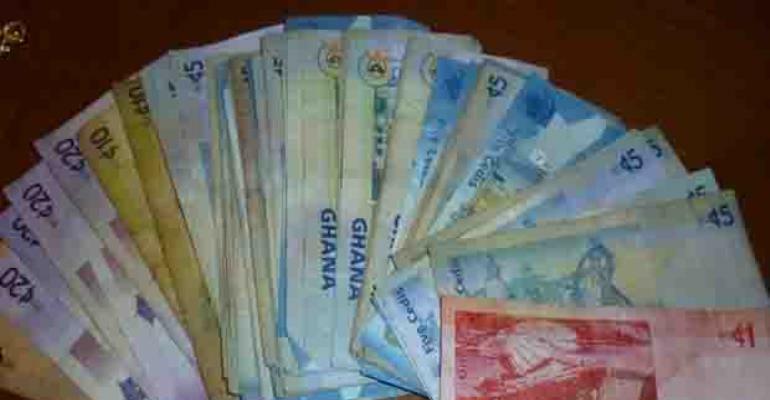 Explaining further, he said at the end of December 2017, the cedi had cumulatively depreciated by 4.9 percent compared to 9.6 percent in 2016 and this was the Cedi's best performance since 2011 at the end of 2017. Vice President Bawumia further indicated that the sudden sharp depreciation of the cedi at the beginning of 2019 has largely been reversed without any intervention from the Bank of Ghana.